Aaron and Chris bring an amazing weekly podcast of all things hard rock and heavy metal. I appreciate their meticulous attention to detail when it comes to well known and obscure rock music. Keeps me listening on a weekly basis. Kudos DGP and here’s to many more years. Subscribe...you know you want too! Chris and Aaron are fantastic. I couldn’t recommend this podcast more. Good sense of humor, objective viewpoint and a variety of topics and subject matters. They genuinely keep getting better! Metal up and help the guys out 🤘. Subscribe!!! I love the fact you guys always keep it real. Just because I don’t always agree with your view, does not mean I hate. Exactly the opposite. I simply LOVE. Keep up the great work, quality production, and informative content. Love you guys..... Sincerely ‘The Mooger Fooger’. I have been listening to these guys from almost the beginning and after 7 or so years & almost 350 episodes, I figured - OK - maybe these guys know what they're doing. Remember how you used to get together with your best friends and everyone would bring over records and you would play your favorite stuff new & old? Or maybe heading back home after a show, stopping in some 24 hour diner, and having arguments long into arguing over your Top 10 favorite Maiden songs? That's what rock geeks like us do...and that's what these guys are. Listening to these guys on a weekly basis totally brings me back to those times and it's the type of podcast you just want to jump in on and join the conversation. I'll forgive the tragic error they made in their 1981 Year in Review show when they said the f'n RANGERS won the Cup (booo....it was the ISLANDERS fellas)....but seriously - Chris & Aaron while having different styles, have a great rapport with each other & feel like old friends. Keep it going! I still listen to Rock and Metal. Thank you thank you for the best rock/metal podcast I’ve heard in a long time. I learn something about the music I love every time I listen. Again thank you. 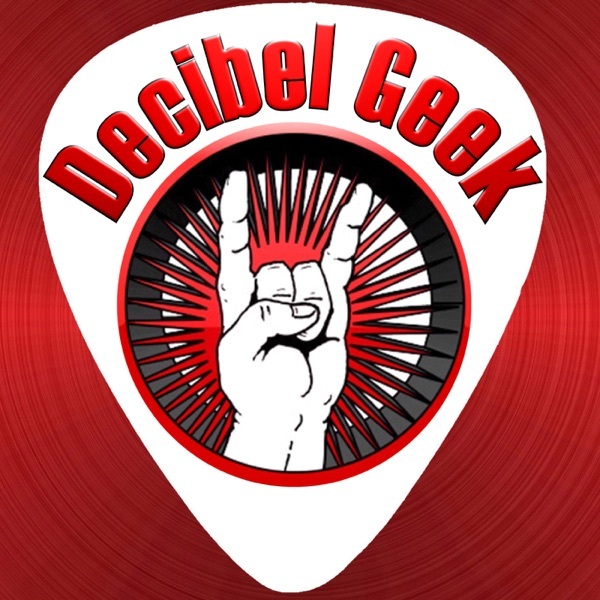 Every time I listen to teh Decibel Geek, I am impressed with Aaron and Chris' knowledge of rock and metal and can tell that they are diehard fans who bring only THE BEST podcast to the masses. Their look inside certain albums and artists' careers are my favorite ones to listen to out of all podcasts. Thanks,guys, for bringing top quality podcasting every week. Disappointed that I can only give 5 stars. ROCK ON! Keep up the good work, guys. I esepcially liked the Anthrax State of Eurphoria episode. If you love metal, listen to this show...!!! Long time listener and supporter, great show, great hosts, fantastic content! Great idea - solid content - but horrible audio quality. Worst sounding podcast I’ve heard anywhere. That kinda matters given the topic....! I have been a fan of this podcast almost from day one. I was already a fan when they interviewed Eddie Trunk! These guys really know their stuff, and even though their KISS fandom makes me roll my eyes on ocassion, I love their chemistry. After the years the quality of their show has only improved. I do have to take some points off for a couple of things: a. Minus 1/2 star for Aaron saying that Duff McKagan could outplay John Deacon. Sorry, but no. b. Minus 1 star for making a scum of the Earth guy a Geek of the Week. After all that, I will give them one star back for having the courage to make an episode about worst KISS songs. This one I enjoyed a lot. All this comes up to 4 1/2 stars, but I'll give them the whole 5. I know they'll make up for that in the future. Rock On Chris and Aaron! The number one podcast in the world.....no, The Universe! I don’t need a poll to tell me, I’m an Gino freaking Ames and I know this kind thing! Some day I can only hope the guys will have me on so we can chat tunes! Keep up the awesome universe changing experience! I’m glad I found this podcast. I can listen to stories and info about KISS for hours on end, which is what I’ve been doing at work for the past week since I started listening. I loved the Michael Wagener albums unleashed. Especially the two Skid Row albums and also Carnival of Souls one which. I would give this podcast 5 stars but I can’t just because they wasted time doing a Kid Rock albums unleashed. I hate Kid Rock more than anything. Keep up the good work and please please stop listening to Kid Rock. He’s the worst thing that could’ve happened to music in general. Let’s face it, there are a ton of rock/metal podcasts out there. I’ve listened to a bunch but none of them seemed to really stick...until I found the Decibel Geek Podcast. Chris and Aaron have a great show here. The guests are great, but so are the shows with just Chris and Aaron. My favorite episodes though are the Albums Unleashed. Everything about the DGP is spot-on, but it all boils down to the two hosts. These guys are knowledgeable, funny, and they don’t seem to take themselves too seriously. It’s all in good fun and all about the bands and music we love. I’d give it 6 stars if that was an option. Chris & Aaron put all their passion into this podcast, there has never been a better one in my opinion & I’ve listened to many before stumbling upon this one. These guys totally speak my language. I’m happy & jealous of them because I wish I can be talking with them & joining in on the conversation. I just want to jump through my speaker , crack one open with them & talk some good rockin music ! Listen to this podcast, but be forewarned ITS ADDICTING!!!! Joey Espo New Haven Ct.
Chris and Aaron, you guys outdid yourselves with the Damon Johnson interview. What a great guy he is, with great stories to tell. Keep 'em coming! For listeners: Chris and Aaron are rock fans, yes, but candid ones. And they bring unique stories to the podcast universe, such as their Albums Unleashed series. If you like rock music, you should give this podcast a try. Great show for Fans of Rock & Metal ! Great show for Fans of Rock & Metal by hosts that are fans of Rock & Metal! AAron and Chris have great chemistry and keep the show exciting as well as informative. 5 Stars! Found this podcast a few weeks ago. My favorite genre of music hosted by two really cool and knowledgeable guys. Tora Tora-Wild America and Warrant-Dog Eat Dog are two of my all time fav albums. Really cool in depth analysis and discussion celebrating those two classic albums. Great job guys! Now Looking forward to catching up on all the episodes I missed! Decibel Geek has become a cottage industry at this point with their podcast, their website packed with excellent articles/reviews from their many great writers (I had the privilege of being one of them for a year a while back), Decibel Geek TV on YouTube and, as of 2017, the Rock N Pod Expo which is the very first of it’s kind that combines rock/metal music and podcasting into an all day convention-style format. Chris C. (I’m too lazy to type out or copy and paste his last name) and AAron Camaro have more or less set the standard for rock/metal podcasting. Great stuff. Great interview with Vinnie Vincent🤘🏻I started listening last month after listening to Talk Toomey recently. Anyone into rock music should check these guys out! 1,2 F U! Amazing Bulletboys review!! I recently started listening to podcasts as my job now involves me to be on the road about half of the time. Still catching up with all of the available episodes but so far my favs have been the one about RATT and the other would be the KISS "Demolicious" episode. I'm 47 years old and still love KISS, RATT, Motley, Priest, etc. as much as ever. I live (and grew up) in Mississippi. We used to anxiously await the monthly issues of Circus magazine, which was about the only way to find out anything about any of the rock bands back then. It is amazing how things have changed. I love hearing all of the interesting tidbits of info that i never knew about before. In particular the info that you guys have about KISS alone is mind blowing ! Keep up the good work. An occasional listener, decent podcast. Even if the 3 Sides story isn't true, kudos to Decibel Geek for calling them out. Vinnie Vincet got to meet THESE guys!!! When it comes to music podcasts they all seem to follow the leader which is D. G. From the format they follow to the guest they try and get. You know your the leader when other podcasts consider you experts and call you live on their shows. No one can match the chemistry that Aaron and Chris have as well as the knowledge that could stump even the biggest Trunk. There’s only one podcast that Im always checking for a new episode of and that’s the D. G. Podcast. Can I give a 10 star review? Finals a Great Rock podcast! I have been looking for a new podcast on Kiss and other rock groups and related issues. The other podcast I have listen to didn’t hold my attention, and I respect you guys on how you handle the Vinnie Vincent issues.Yes I read a lot of those post. And it Inspired me to write a positive one myself.But you guys really make listening a pleasure. Very informative and enjoyable. You are my new go to! I will spread the word. I've been listening to podcasts since 2005 & tried to find rock podcasts. There were a handful out there but they weren't quite what I was looking for. Finally I found Decibel Geek & they checked all the boxes on my list! Chris & Aaron have great chemistry & passion for music. The show has everything you want the music you love, the hidden gems you missed back ing the day, & the amazing new music that's needs to be played for the world. They do great interviews with players big & small in the industry. Even if it's just the two bantering, it's always entertaining. If creating a great podcast isn't enough. They've started a movement of fellow podcasts & an exhaustively rewarding website full of all the content you need. Decibel Geek is the hub for all the music content you need. Thanks to Decibel Geek I'm listening to more music than ever. Thanks for all the hard work, guys. This pod cast gets a five star just for turning me onto Orchid! Can’t even begin to imagine the prep time these guys put into a show bringing a great wealth of knowledge ,humor and entertaining . It’s also refreshing to here a music related pod cast where the host does not talk about himself for half of it. Amazing variety of bands , songs , sounds , interesting bio , little known facts and even some useless information packed into each show. Their passion shows through on every pod cast!!!!! If your not a subscriber you are missing out. Great chemistry between Chris and Aaron. Keep up the good work! These guys generally have great guests and keep it flowing. Love the Kissmas episodes but also the people behind the scenes getting a larger view of what happened. Great job guys. Always a fun listen with Aaron and Chris. Professional sounding and good conversation. Long live Decibel Geek! Chris and Aaron do not only have extensive knowledge about the bands and musicians they speak to, and about, BUT it’s like they’re reading my mind with every question, every song. They just seem to know what WE want to know. Donnie Vie interview was beyond incredible and this up and coming expo they’ve put together is just more proof that his podcast is a step above the rest. Subscribe or get left in the dust. We are are in the KNOW! Chris & Aaron (in addition to being some of our finest citizens) know their stuff and they also know what they like. With a guest roster I am jealous of plus a true passion for Rock, it's a no-brainer that you must listen and subscribe. Chris and Aaron keep the torch alight for hard rock and metal fans. The interviews are especially excellent and the episodes focused on Kiss-related topics are good and juicy. They've built a passionate community that appreciates what they're doing and how they do it. If you listen to music podcast and this is not the first one you go to every week, rearrange your pod schedule. Aaron and Chris do it right! A rock and roll news show good enough to be nationally syndicated. Decibel Geek podcast is one of the best, too shelf music related podcasts out there. It's well produced (something that isn't always easy to find) and we'll researched. They cover all kinds of rock and roll from the late '60's to today. Their bread and butter are hard rock, KISS and '70's and some '80's metal. Great hosts that are naturals behind the microphone. I'm so glad I found this podcast. Between the Rock and Metal Combat podcast (friends of theirs) and Kisstory Science Theater I'm set for my music podcasts needs. Keep it up boys and people spread the word! Aaron's passion for Kiss and Chris's honesty makes for a genuine debate. Both of you stood your ground, didn't back down and walked away friends. If only our government could work this well. Love listening to all your discussions on music. Up the Irons. Get your weekly dose of Hard Rock and Metal.. and Plenty of KISS! These guys do a great variety of topics and review tons of Music! Love the KISSmas in July episodes! And tune in to the RUSH Covered in Metal episode, to check out their "heavy" RUSH tunes. It made me go back and give them another listen! Keep up the Great work Guys! A MUST LISTEN PODCAST FOR ROCK FANS! I loved the Desmond child episode especially. Kissmas in July...A+!!! Its Only Rock And Roll All Night...And I Like It! Just recently stumbled across Decibel Geek because I haven't been able to get enough KISS lately. Looks like I picked the right month to get on board with KISSmass in July going on. The last two episodes were awesome! In the immortal words of Joe Dirt "I'm a rocker dude, through and through" and even though KISS was my first love I look forward to getting caught up on the rest of the episodes.